Does your business need more control with its printing? With Savin Managed Print Services you can have a single point of control to oversee and manage output in your business. 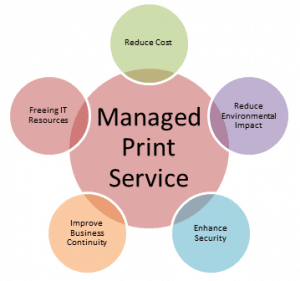 This service enables you to reduce costs and help streamline your printing process. What if a particular department is printing drastically more than others? Simple, you can track and charge back costs to particular departments which means your department is not out of pocket. Your IT team’s time is valuable. Being pulled away to deal with an issue with your copier can result in them having less time focusing on more important things. With the Managed Print Service your IT team can have access to your entire copier fleet and access all devices remotely. This means they can remotely upgrade firmware and change settings, view status alerts and manage your print queue without having to be at the copier itself! Have you noticed your staff printing every document in color when it doesn’t need to be? Why not default all printing to black & white? Printing color can result in additional charges each month which can easily be avoided. The Savin Managed Print Service can be customized to suit your business’s needs. For over 20 years we’ve been a part of the Ricoh family — helping to change the way you work.